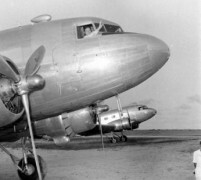 The busiest American air base in the world in the first half of 1944, the twin strips of Parnamirim field at Natal handled a landing every three minutes as troops and cargo were ferried across the South Atlantic to feed campaigns in Italy, Africa, Russia, Burma and China and the looming invasion of Normandy. The closest point in the Americas to Africa, this equatorial city provided a year-round jumping-off point for the limited-range planes of the era. An alternate northern route, through Newfoundland and Greenland, was blocked for weeks at a time by winter weather. This bustling American military city had enough barracks and tents for 6,600 soldiers, a weekly newspaper, and a big Post Exchange supplied by Latin America's first Coca-Cola bottling plant. Gracias Amigos. WW2 film by U.S. Office of Inter-American Affairs tells the story of how the Central and South American countries provided raw materials to the Allies essential for victory. 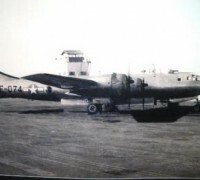 In this archival footage several scenes depict Natal, the gigantic airbase U.S. Armed Forces built at the Northeastern Brazilian bulge. Roughly 20,000 allied aircrafts landed there from 1943 to 1945 bound for African, China Burma India and European theater of war.